Thousands of Aboriginal children across the country are caught up in the child welfare system. Something needs to be done to fix the overrepresentation says the Canadian Council of Child and Youth Advocates. “It’s a huge proportion and a national disaster we’ve got to do something about,” said Darlene MacDonald, Manitoba’s children’s advocate. The western provinces have some of the highest numbers of children in care. In British Columbia, nearly 8,200 children are in care of the province. Over 5,000 Aboriginal children are in care of the province of Alberta. They represent nearly 70 per cent of kids. The number grows to 5,600 Aboriginal children in Saskatchewan or 83 per cent of all kids in care. But it’s Manitoba that has the highest numbers. More than 10,000 Aboriginal children, 87 per cent, are under the care of the province. 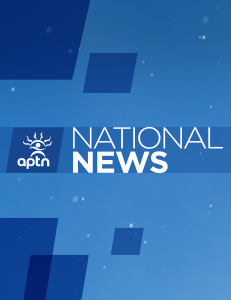 APTN’s Dennis Ward looks for answers. Very sad our children in those places! Almost like residential schools, they have our children again! !